Visual Dimension delivered an adapted version of the Reichkrone to the Kriminalmuseum in Rothenburg ob der Tauber. 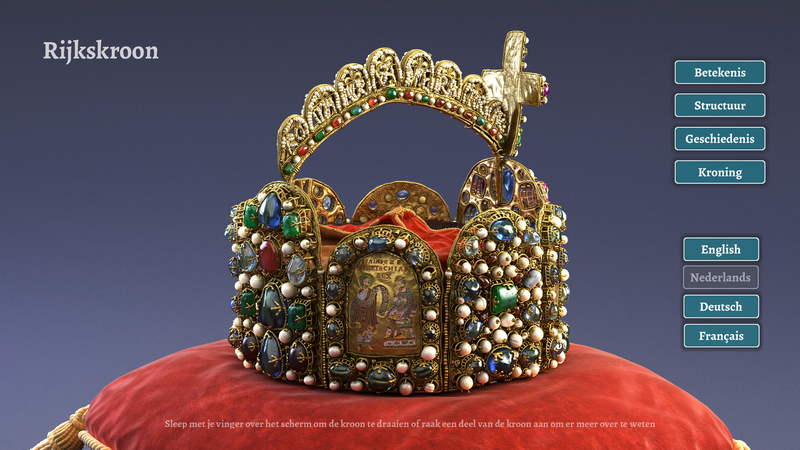 This is an interactive application showing the German imperial crown in 3D and explaining its meaning and history. 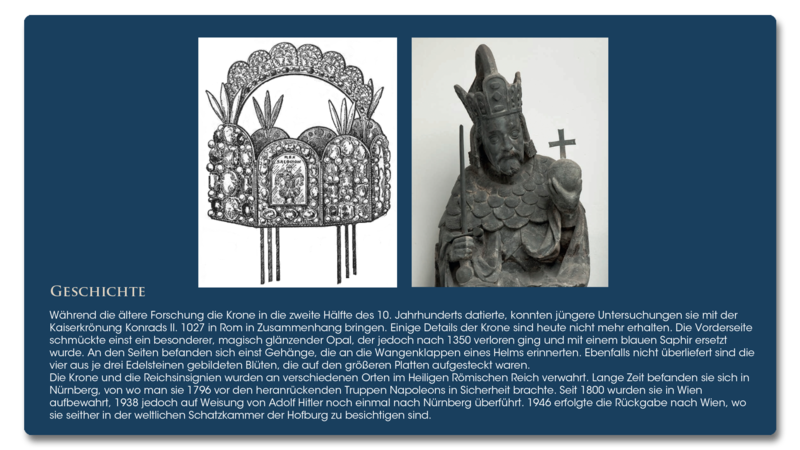 The application was made in close cooperation with 3D artist Henning Kleist for the exhibition The Heritage of Charlemagne in Ename in 2014, created by the European project Cradles of European Culture. The application is available in four languages: German, English, French and Japanese.